Spring in Europe is a beautiful time of year to visit, whether you’re north in Ireland or south in Italy. We’re sharing our ultimate guide to packing for Europe in spring to help you nail your travel wardrobe. Europe can be an unpredictable place to travel to in terms of weather, and no matter what time of year you go, you could get sun or rain. It’s a huge continent with stunning and diverse countries, and vacations here can last from a weekend getaway to an entire year. 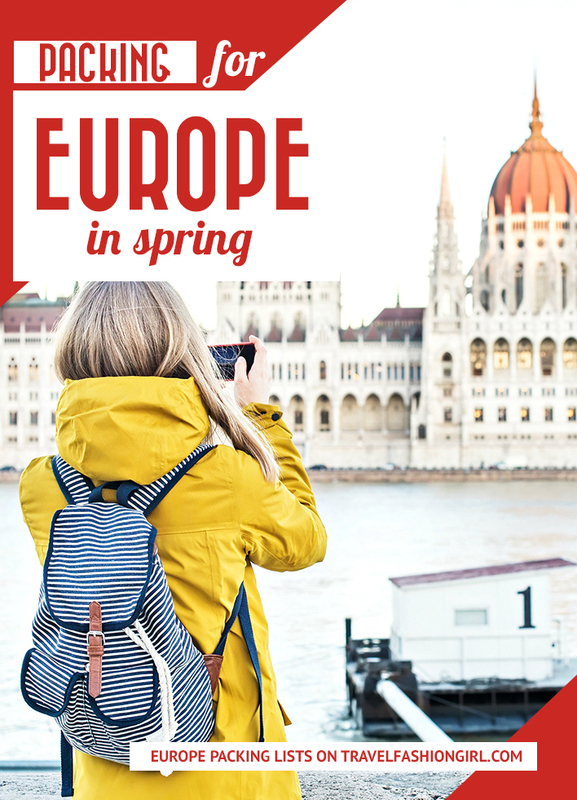 Spring in Europe runs from March through May and can be a beautiful time to visit, as the temperature is warming up and the tourists have yet to arrive. While the flowers will be starting to bloom, the weather will still be pretty cool and rainy in some parts of the continent. No matter where you visit, you should always be prepared for changing conditions, using layers and accessories to ensure you stay comfortable if the weather changes. Tip: Always check the weather forecast before you go! If it’s cold, read our packing guide for Europe in Winter! The weather in the UK is always unpredictable, including spring time. One of the most important things to remember is that just because it’s “spring” doesn’t mean it will necessarily be warm. The weather can vary hugely hour by hour and day by day. In general, the east is drier than the west, and it’s cooler up north than it is south. And then there’s the rain, which can be expected in spring, along with wind, especially in hilly or mountainous areas. However, there can still be sunnier days. Because of the varied weather, layering is a must. 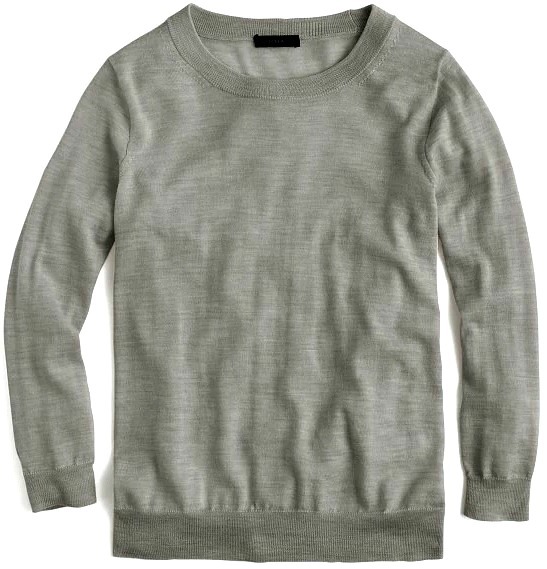 Wear a merino base layer and add a sweater and a beanie hat that won’t blow off from the wind. Don’t forget gloves and a scarf! For shoes, pack a few pairs. Flats are great for days when it’s warmer or for a dinner out. 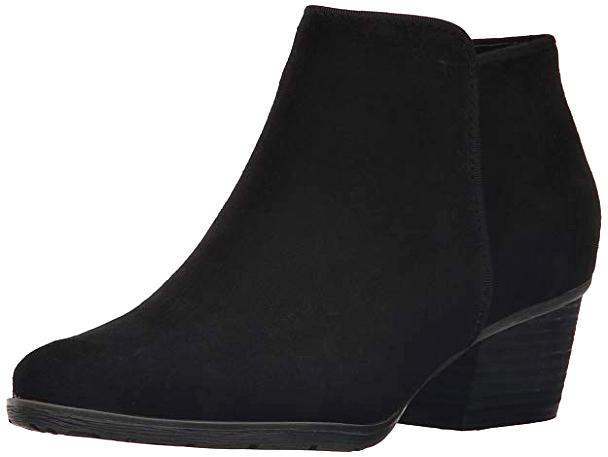 For walking and rainy days, wear flat ankle boots. You’ll also need a raincoat when packing for Europe in spring. 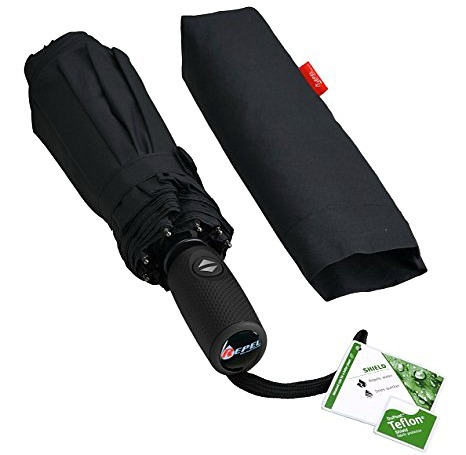 If you’re in a busy city like London, forget the umbrella as it will be hard to carry around in crowds. Wear a hat or a jacket with a hood. 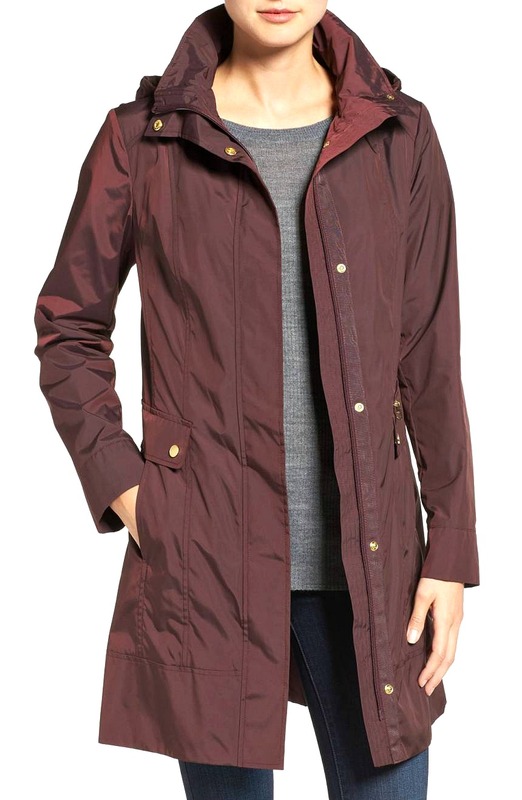 Stick to a lightweight, windproof, waterproof jacket and wear a fleece zip-up underneath for colder days. Tip: The Tube and trains can get very hot, so this is where layers come in handy! Make it easy to strip off layers as you go into warmer buildings and out into the cold. Want more tips? Find out what to pack for London year round! France is beautiful in spring, but it can still be chilly in the early months. In some parts, you can expect frost until May, while in the south, it can get suddenly warm by May and summer can appear early. If you’re near the Alps or Alsace region, expect colder temperatures, while the weather will be more mild in Nice and French Riviera regions. When packing for Europe in spring, choose “smart” or “dressed up” casual attire. For example, you could wear well-tailored jeans with a pretty blouse, trench coat, and comfortable ankle boots. Depending on how much time you plan to spend outdoors and how low the temperatures, you may need warmer outerwear, so you can plan to layer for the weather as needed. A tunic or sweater dress would be comfortable for indoors or outdoors with thick tights, while a cinched shift dress with thin stockings can be worn both museum-hopping or dancing at night as things warm up. 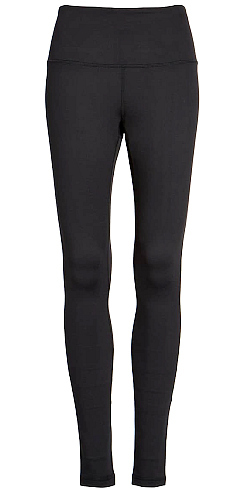 You can also layer thin and thick tights if the temperature drops or wear them under jeans or leggings. For outerwear, opt for durable synthetics that provide a measure of warmth plus wind- protection– especially near the coast. A weatherproof shell or rain jacket will help keep you dry, but be prepared for slippery cobblestone as well. Tip: Springtime in France is less crowded, but it can also be wetter from other seasons and places. A rain poncho or travel umbrella will keep you and your bag dry and will save you up to 42 Euros for an umbrella upon arrival. For more tips, read our guide on what to pack for France! Austria in early spring can be decidedly chilly, with snow potentially still in the forecast. Later on, in the season is an ideal time to visit as you’ll likely encounter pleasantly warm, sunny weather, although be prepared for the occasional shower and gray, overcast day. For a typical springtime visit to Austria, bring lots of layers, as you can never be fully sure how the weather will progress when you set out in the morning. And if you’re traveling early in the spring season, you’d be wise to bring a few extra layers and sturdy, waterproof footwear. For cute outfits for your spring trip, pack jeans, skirts, a variety of long-sleeve and short-sleeve tops, and sweaters to layer. For outerwear, go for a light trench coat—it’s a timeless piece that’s comfortable, practical, and sophisticated, and looks good thrown over jeans or a dress. 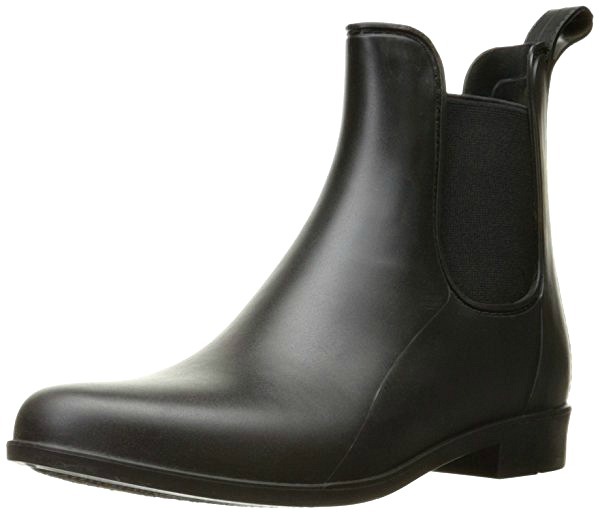 In terms of footwear, pack sleek (preferably waterproof) Chelsea boots. They’re comfortable but always look on-trend and go well with both dresses and jeans. A chic ballet flat in a neutral shade like blush or black is another footwear option that’s perfect for spring for dressier evenings. Tip: During colder weather, the restaurants stores and hotels may be very warm. If you tend to get hot easily, take at least one short-sleeve top to wear as a base layer so you can take off your layers as needed. Before your trip, find out what to wear in Austria! Spring in Italy is unpredictable. The temperatures can vary from chilly to warm and sometimes even hot. Plus, the temperature greatly varies where you are in Italy. The north will be cooler, while the south will be more Mediterranean and warmer. Despite the unpredictable weather, Italian spring is beautiful and you can spot flowers and greenery everywhere. To prepare for warm or cold weather, pack for both. Look for bright and light colors during this finicky season; when it’s sunny, it’s very warm. Jeans are a must, along with skirts in light fabrics. Stick to dark denim–it’s always in style. 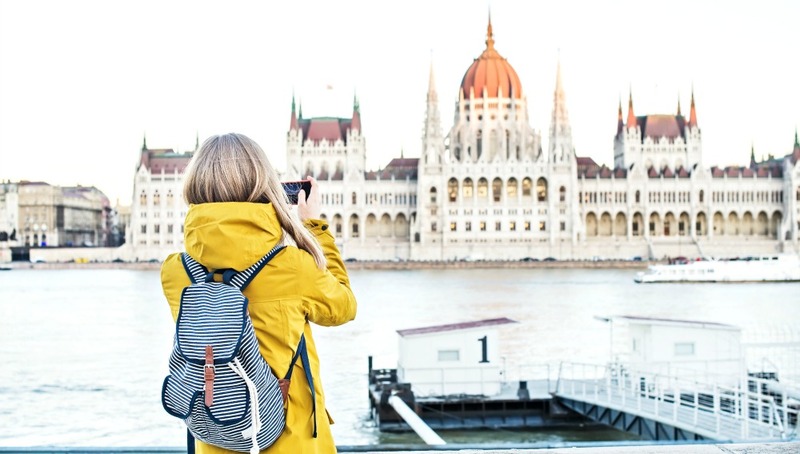 When packing for Europe in spring, don’t forget a sweater and light jacket for layering on cold days and evenings and a waterproof outerwear item, such as a light trench coat, for unexpected rainstorms. Perhaps most important for Italy is comfortable shoes, as you’ll likely be walking for hours and on uneven cobblestone paths. Ankle boots and flats are a safe bet. Sneakers have also become very popular in Italy. You can’t go wrong with a pair of Adidas Stan Smiths or chic sneakers. Tip: Pack a pair of dressy shoes as locals like to dine out with style and elegance. In some venues, hosts at the entrance might not let you in if you’re wearing flat shoes. You’ll also want to bring along a scarf for coverage at religious sites where you’ll need to dress conservatively. For more tips, please read our complete Italy packing list! Like many northern European countries, Germany’s spring weather greatly varies depending on the month and year. While it’s typically cool and rainy, some years have been warmer while others have still experienced snow. There’s even a nursery rhyme in Germany, which basically translates into: April doesn’t know what it wants– sunshine and rain and sometimes snow in between. Since the weather during spring can be unpredictable, you will need to be prepared to face all the elements. When packing for Europe in spring, start off with the basics. You can never go wrong with a pair of jeans. Opt for darker washes as they are figure flattering and will disguise any dirt. An ideal outfit would consist of a pair of skinny jeans or your favorite lightweight pants and sneakers, ankle boots, or long boots. If you want to wear a skirt or dress, wear tights underneath. An umbrella and a raincoat is a must in spring, as you never know when it might rain! It’s best to pack a lightweight and small umbrella or a thin and lightweight raincoat, so it doesn’t take too much space up in your bag. Don’t forget a hooded jacket or parka to keep you warm if it gets chilly. Be sure you have a waterproof outer layer and a layer underneath that you can take off on warmer days. Women in Germany love wearing black leather jackets and a cardigan underneath. Tip: For accessories, bring a large and thin scarf for those chilly days. On warm days you can easily take it off and pack it in your purse. For more tips, read up on what to wear in Germany! After a cold winter season, the days start to get longer in spring but you can still expect cold weather in Sweden. March often still sees snow, and the northern part of the country can remain white and wintery through the whole season. Towards the end of the season, it’ll warm up, but don’t expect temperatures above the low 60s (Fahrenheit). In the spring, your essentials should include a pair of comfortable loafers or slip-on shoes, dark jeans that work for day and night, and a crossbody bag. If the forecast shows snow, bring waterproof boots that will keep your feet warm. An easy overcoat and a nice scarf are perfect additions for cooler days and nights. A dress can always look pretty and feminine, but don’t opt for light materials. Pack a dress in a thicker material such as denim or wool and add a pair of black stockings to your look to warm your legs. If you’re in a stylish city like Stockholm, don’t forget to pack a stylish silk top, black pants, and ankle boots with a slight heel for evenings out when visiting the wide variety of bars and bistros all over Stockholm’s city center. Tip: Bicycles are a popular form of transport within the cities, and a great way of getting around and sightseeing. However, make sure that you dress appropriately, such as shoes, pants, and a cross body bag or something that will not interfere with your bicycle riding abilities. Here are some packing tips and Swedish style ideas to help you decide what to wear in Stockholm any time of the year! Spring weather in Switzerland can be unpredictable and so it is important to layer. You can wake up in the mornings to nearly freezing weather and it can warm up 30 or 40 degrees by the afternoon and cool back down in the evenings. When packing for Europe in spring and Switzerland’s on your agenda, it’s important to be prepared for anything. Your daily outfit for spring would be a light top teamed with a pair of jeans and a warm jacket. Start with your base including a good pair of jeans or trousers in a darker shade. Generally speaking, dark blue denim is considered timeless European fashion. Pair this with a light blouse or sleeveless top in a bright color as it is spring and you are celebrating this. This outfit can be accompanied by a lightweight jacket or a cardigan to protect you from the chill of the mornings and evenings. Tip: Although most Swiss people are able to speak English it shows respect if you attempt to address them in their native tongue “Sprechen Sie Englisch?” (“Do you speak English?”) This will result in you receiving a much warmer reception. For more tips, read our guide on what to pack for Switzerland! For spring in Ireland, you can expect mild temperatures with occasional rain showers, wind, and spells of sunshine. The days grow longer during the spring months, and further into the country you will see green landscapes, yellow tulips, and countless spring lambs. Almost anyone will tell you that rain is always a possibility in Ireland. When packing for Europe in spring, waterproof boots and a warm waterproof jacket are musts. 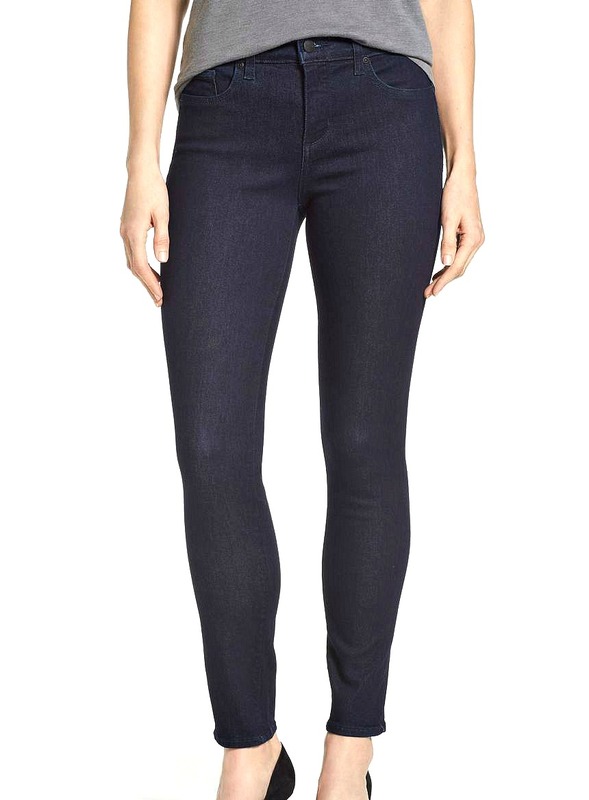 Since spring in Dublin is cool, you will need a good pair of jeans in a dark shade–black is always a favorite. Layering is also essential. Sweaters, jackets, and tees are perfect. Try to stick to neutrals or pastel colors. A splash of color can come from a simple crossbody bag and scarves. Cashmere or silk scarves are perfect for the spring weather and look elegant, instantly enhancing a look. Remember that the major cities like Dublin and Galway are very trendy, combining formal and casual wear. The most important thing is to always look presentable and avoid anything too revealing, like crop tops or short shorts. You will be cold and look inappropriate. Tip: When traveling to Europe in the spring, consider visiting Ireland for St. Patrick’s day when the cities are alive with festivals! Dublin and Galway, among other cities, also host a number of festivals during the spring that are worth visiting. Are you wondering what to wear in Ireland? Use these packing list ideas for Dublin as a starting point for your trip! Spring is arguably the most beautiful time of year to visit Norway, but the spring weather can either arrive incredibly early (in February) or late (with snow still there in May). You’ll want to check the weather before your trip to know which kind of spring weather you can expect. In general, spring in Norway is chilly. Along with snow, you may encounter lots of wind, so you’ll want to pack and wear plenty of layers. When you’re planning what to pack for a trip to Norway, keep in mind that locals like to keep things simple in their wardrobe, right down to the colors. They tend to gravitate toward gray, beige, black, and blue. 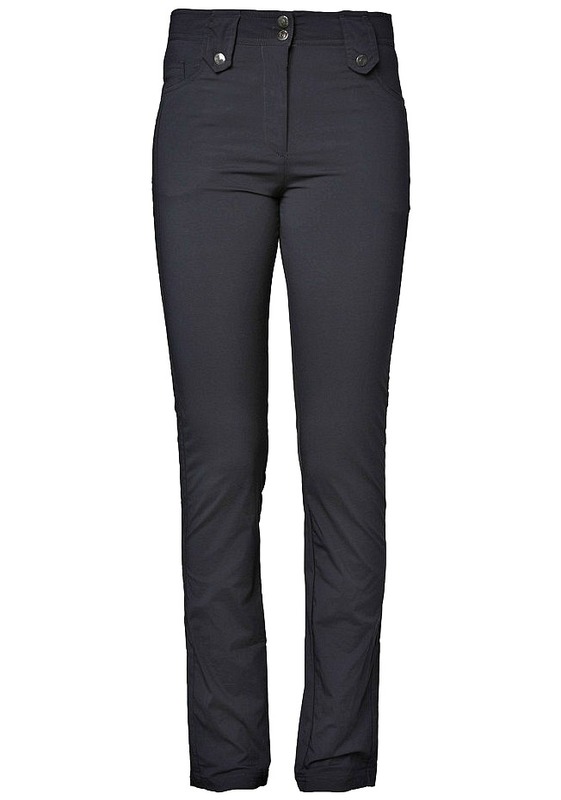 A pair of black or navy trousers and dark jeans will work great as your base. 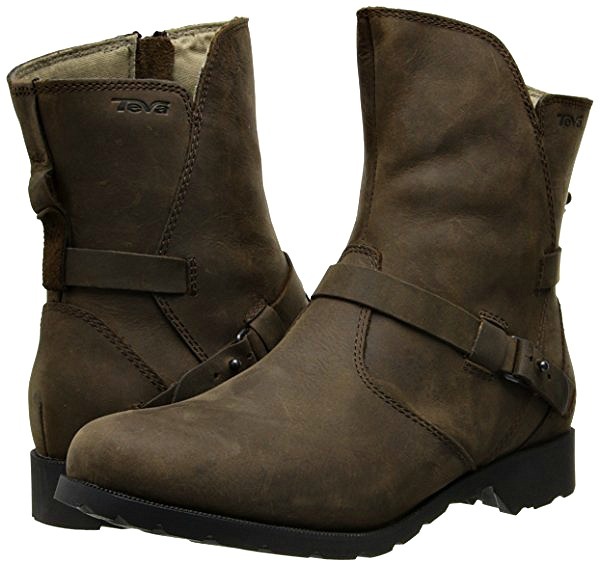 Pair these with long-sleeve shirts and sweaters, along with a lightweight, waterproof jacket. Since it can be warm indoors, wear pieces that are easy to take on and off. For footwear, boots are fabulous. Not only are they comfortable and waterproof but they are perfect for all elements and all occasions. Since it may be windy, skip the umbrella and wear a beanie, scarf, and hooded jacket on those rainy days. Tip: The Danes are some of the friendliest and happy people you will encounter, and the vibrant Oslo metropolis has a reputation for entertainment and an energetic nightlife. Pack an item that is slightly dressier for a fun night out! Here are more tips on what to wear in Norway! Spring is a dynamic time in Russia. The temperatures can change rapidly or stay stagnant for weeks. The temperature difference between April and May could be drastic. Be prepared for gray skies and rain. However, the flowers and trees start to bloom in May and June, making it a delightful time to visit. Since Russia in the spring can still be quite chilly, jeans and boots are a smart choice for casual wear. Sweaters will keep you toasty warm, though if you visit in the late spring you might want to wear layers for sunny days. In the spring, skirts get shorter, but women still typically wear tights or pantyhose under them for warmth. It can also be wet, either from rain or a late snow. Make sure you pack an umbrella and a raincoat. You’ll want sturdy shoes as well–ones you don’t mind getting wet. Tip: When in doubt, dress more conservatively. It’s a good idea not to show cleavage, unless you have a layer underneath, or wear see-through clothes or bright makeup. Choose understated jewelry instead of flashier pieces. If you’re wondering what to wear in Russia, take a look at what they recommend you bring for your vacation. Spring is the time the trees and tulips are blossoming and blooming, the weather is getting warmer, and the sun is shining, but sometimes there’s still rain. Layering is the best way to handle this weather; you can remove items when it’s warm and keep them on when it’s cold. Have an umbrella ready for those wet days! When packing for Europe in spring, choose long pants, like jeans, with a warm jacket. It can be your favorite black leather jacket or a 3-in-1 outdoor jacket in your favorite color. 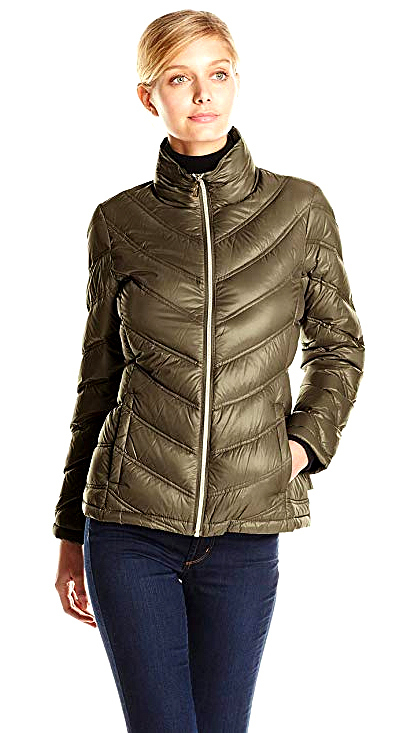 These jackets will keep you warm and dry, plus you can remove the inner fleece jacket if it’s too warm or use the fleece jacket by itself and leave the outer layer at your hotel. Underneath, you could wear a lightweight turtleneck sweater. Have a matching scarf to keep your neck warm. At the moment, Dutch women love to wear oversized scarves! Good walking shoes are most certainly important for your travels to the Netherlands. If you wear ankle boots, be sure they’re comfortable. Or choose stylish sneakers. Even if you plan on using the tram system or riding bicycles throughout the city, you will at some stage find yourself walking across the remarkable cobblestone streets, just to explore or browse through the busy shopping streets. Sensibility should reign here with your choice of footwear; avoid heels and opt for shoes that offer grip and are slip-resistant. Tip: If you go on a bike tour through the Netherlands, you need bike-friendly clothes. For your bag, wear a backpack so you can be hands-free. Choose one that’s water-resistant so your personal belongings stay dry. Visiting the Netherlands on your next trip? Read up on what to wear in the Netherlands! Spring is one of the most beautiful times to visit Spain. The weather is not too cold, flowers bloom in abandon, and the streets come to life with music and delicious farm fresh foods. While March and April can still be chilly, it starts to warm up in May. Warmth comes with the sun, but as soon as it disappears you can feel the draft, so it’s best to layer your clothing. Have fun with your travel outfits for Spain in the spring. Bright colors, pastels, and florals are appropriate for this season, as everyone mimics nature’s vivid colors. Long tunic tops can be paired with leggings, replacing trousers and denim. Dining out is popular in this fair weather, but make sure you bring along a scarf or a jacket. 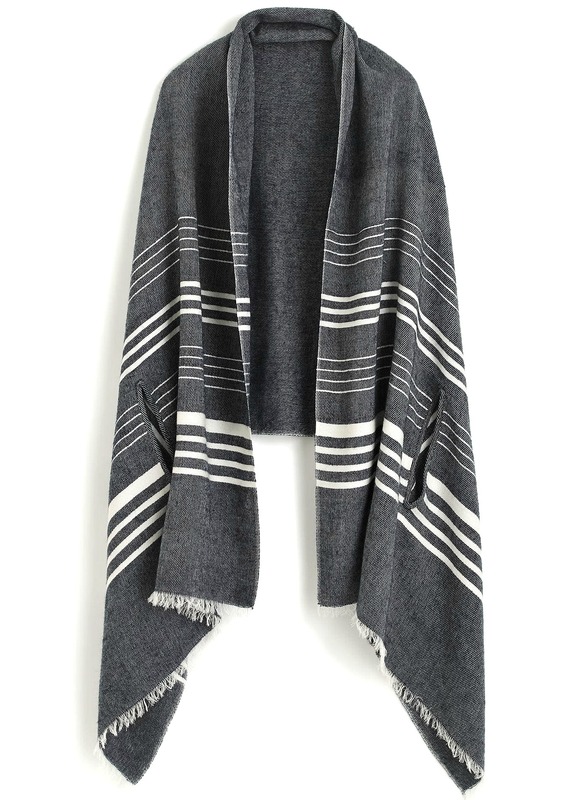 March can still be quite chilly so a denim jacket or blanket scarf can be a lifesaver when the weather gets crisp. Comfortable footwear is a must for those long days of walking, but you can also pack a low chunky heel that can be worn out at night or for less strenuous activities. Tip: Petty theft in Spain is very prevalent. Always keep an eye on your things, and remember to pack them securely. Make your clothing theft-proof and choose items with strong zippers. Read these anti-theft tips for more information. If you’re traveling to Spain, read our full packing list here! Greece is a beautiful Mediterranean destination, and springtime brings fairly mild weather. You may enjoy some warm days, but you can expect evenings to be chilly, especially when you’re on the coast. When packing for Europe in spring, include jeans and smart capri trousers in darker shades that you can team with bright tank tops and blouses for the warmer days and long sleeve shirts and 3/4 tops for cooler days. Bring a light jacket for the evenings to ward off the chill. If you’re visiting Athens, you’ll want to take your style up a notch. This city is known for its smart-casual style. This means that the men are dressed impeccably and the women are unashamed of their bodies, opting for figure-enhancing clothes like short skirts and incredibly high heels. It’s acceptable to wear jeans around the city, providing you dress them up with a smart blazer or blouse and elegant accessories. Tip: Since there are many historic and beautiful sites throughout Greece, like the Acropolis, make sure you have appropriate footwear. The easiest method for sightseeing and getting around is on foot. For more tips, read our full packing list on what to wear in Greece. What are your tips on packing for Europe in spring? Share in the comment section below! The Only Packing List for Europe You’ll Ever Need! 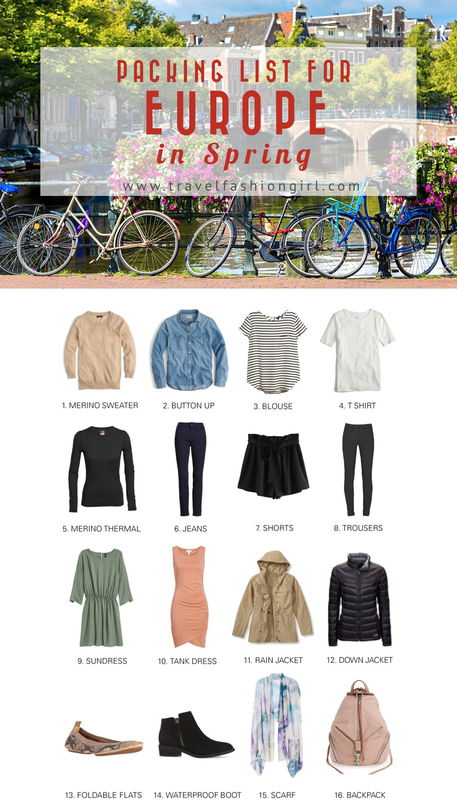 I hope you liked this ultimate guide to packing for Europe in spring. Please share it with your friends on Facebook, Twitter, and Pinterest. Thanks for reading!